Stakeholder workshops are now taking place as ScotRail plans exactly how to convert the five Class 153 single-car units that have been obtained from GWR. The idea is to strip the interior and reconfigure for the carriage of bikes. Also being considered is the inclusion of a 'premium' section for tourists. Units will be attached to trains on the West Highland, Kyle and Far North Lines, starting with the WHR next summer. 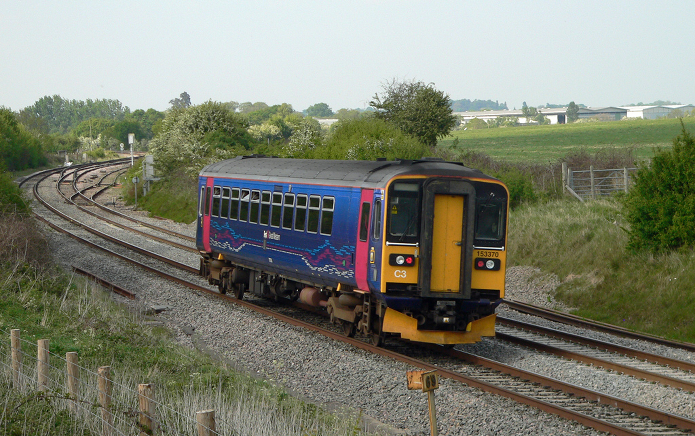 153370 passing Abbotswood with the 12:26 service from Southampton Central to Great Malvern.